Have You Made This Travel Mistake in Russia? Living here in Ukraine, now, for six years, I can say it’s a major pain in the a** any time I take a trip somewhere. When I go back to the U.S., for example, my Ukrainian wife and her parents burden me with gifts for each of my family members and their children. (Because, in their eyes I’m going for a visit, and thus must bring gifts.) Sure, a chocolate bar on its own isn’t a big deal…but I have ten nephews and nieces, so that’s ten chocolate bars. Add in dish towels, table cloths, Ukrainian tea, and so on….trust me: Half of my suitcase becomes devoted to shuttling gifts overseas. So much so that on my last few trips I had to enforce a new rule: One tiny gift per family (not per person). And again, on the way back, I need to bring something for each of my wife’s family members. I don’t mean to sound like a Grinch. It was fun the first twenty times or so. But it’s starting to get old. And I can now get away with bringing less. (Though I still always bring something.) But my own issues aside, if you have a trip upcoming to a Russian or Ukrainian friend, I repeat my opening advice: Bring gifts. What, exactly, to bring? And for whom? Well, they don’t need to be expensive. Regional and unique are the two qualities that most of the gifts I bring tend to have in common. A regional calendar with great photos of your city or state. A picture book of your city or state….or even country. A nice T-shirt is good, if you’re certain of the person’s size. Ladies here love to get high-quality creams, so I usually bring something from Bath & Bodyworks (preferable, apparently, compared to the Bath Shop and others.) Granted, hand cream isn’t exactly a “regional” gift, though it’s not readily available in Ukraine, at least, so it’s still a unique and welcome gift. As for whom to give things to? Ask your friend ahead of time who you’re likely to encounter. Her mom, her dad, her grandmother, her sister, and her children if she has any. Best to bring two or three extras, in case there’s someone you or she overlooked, or if you realize one gift might be better than another for someone. 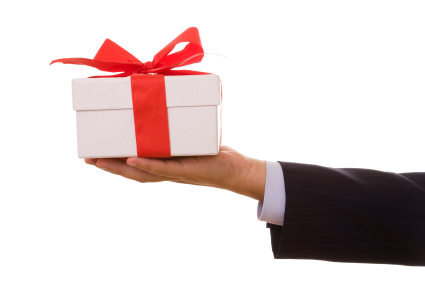 You might also consider giving a gift to your landlady if you rent an apartment. It’ll guarantee you great service on your return visit. Previous: Why Travel To Western Ukraine?